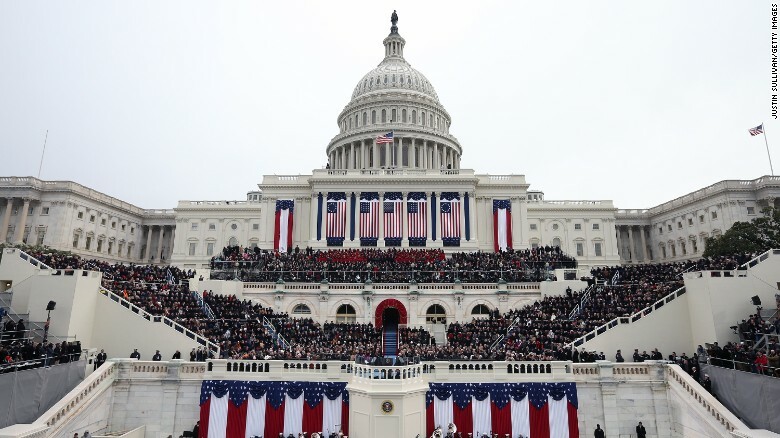 Washington (CNN)Inauguration Day, even in the age of Donald Trump, is still pretty predictable, thanks to a city known for tradition and pomp and circumstance. Here’s a rundown and a bit of history of all the people, places and things that will be a part of the action on January 20. Every president-elect since Jimmy Carter has stayed at Blair House, the guest home that sits across the street from the White House. And while there was some question about whether or not Donald Trump would stay there or at his hotel closer to the Capitol, the official word is that he’s sticking with tradition. Blair House, purchased by the US government in 1942, sits across the street from the White House in Lafayette Park. According to its website, the complex is composed of four connected town homes that house 14 guest rooms and sprawl over 60,000 square feet. Guests can take advantage of a beauty salon, a gym and in-house laundry. President Harry Truman even lived at Blair House during White House renovations. Traditionally, Presidents-elect will leave Blair House to attend church the morning of Inauguration Day at St. John’s, which sits on the other side of Lafayette Park. Franklin Delano Roosevelt started the tradition and since then, most incoming presidents have done so. Exceptions have included soon-to-be President Bill Clinton, who attended a Methodist service, and Carter, who attended a prayer service at the Lincoln Memorial. Despite its status as an Episcopal parish, presidents of multiple religious denominations have worshipped at St. John’s. The church has even set aside a special pew — No. 54 — for the President and his guests. According to the church, every President since James Madison has attended a service at St. John’s during his lifetime. This part of the day takes place at the US Capitol. Perhaps you’ve heard of it. The 20th Amendment stipulates that the “terms of the President and Vice President shall end at noon on the 20th day of January,” which saves the government the trouble of having to figure out a time that works for everyone. Even if January 20 falls on a weekend, the new president must be sworn in that day. It happened to President Barack Obama in 2013, when he had to do a swearing-in at the White House on a Sunday and the ceremony the following Monday. A Camden Address With a Link to Martin Luther King Jr.
Did Trump damaged his relationship with Hill Republicans?